The Southeast Asian Geotechnical Society was founded in 1967 at AIT Bangkok by Dr Za-Chieh Moh. In 2007 the Association of Geotechnical Societies in Southeast Asia was founded also by Dr Za-Chieh Moh. 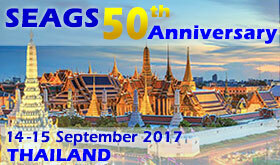 At the 17SEAGC held in Taipei in 2010, it was decided that the 18SEAGC-1AGSSEA Conference will be held in Singapore in 2013. The Singapore Conference was a great success with more than 350 participants. This 19SEAGC-2AGSSEAC to be held in Kuala Lumpur, Malaysia is also expected to be well supported and successful. The Conference will have an Opening Keynote Address, Chin Fung Kee Lecture, Za-Chieh Moh Lecture, S L Lee Lecture, Keynote Lectures, Special Lectures, and Special Session Lectures to be delivered by distinguished geotechnical experts and eminent academicians. Contributed papers from member countries and abroad will also be presented. The Conference theme is Deep Excavation and Ground Improvement. ● Others are also welcomed. The Conference language shall be English. Dr. Za-Chieh Moh will deliver the Opening Keynote Address. Prof. Kenji Ishihara will be the Chin Fung Kee Lecturer. Prof. Harry Poulos will be the Za-Chieh Moh Lecturer. Prof. Jian Chu will be the S L Lee Lecturer. 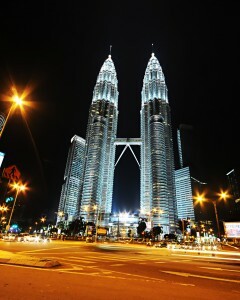 Kuala Lumpur (KL) is like a melting pot of all the wonderful cultures that make up Asia. As the capital of Malaysia, it epitomises the nation’s slogan “simply Asia”. From art to history to food, one’s senses are embraced by the city’s dynamic surroundings. This is a majestic city that was founded in 1857 and now in the 21st Century it brings together the past, the present and the future. There is so much to see in Kuala Lumpur – Chinatown with charming old buildings and makeshift shops, then there’s Little India while the Jamek Mosque which celebrates its centenary in 2014, is one of the oldest mosques in the city. These historical landmarks blend in superbly with the modern day ones. The KL Tower is one of the world’s tallest concrete structures which functions as a telecommunication tower. The skyline of Kuala Lumpur is dominated by a structure that is famous the world over – the tallest Twin Towers in the world known as the Petronas Towers. If it’s food that’s your thing then KL is the place to be because this place is a feast for the senses and will tempt any taste bud from the many hawker centres through to some of the finest restaurants. Another activity that you could definitely look forward to is shopping in KL. c/o IEM Training Centre Sdn. Bhd. Note: From 1 April 2015, all payments must add 6% Goods & Services Tax (GST). (a) Local cheque or Banker’s cheque made payable to “IEM TRAINING CENTRE SDN BHD”.